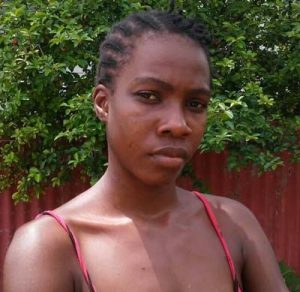 A mother of seven took her last breath on Tuesday, approximately five months after the car in which she was travelling slammed into a parked lorry at Borlam Turn on the East Coast Berbice Highway. The dead woman has been identified as Maria Sampson, 51, of Lot 54 Levi Dam, Mount Sinai. The vehicular accident occurred on January 8, 2017. Herself and other vendors were travelling to purchase vegetables from the Port Mourant Market. The accident occurred at about 23:30h. 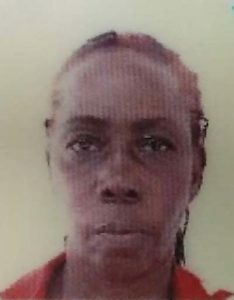 Sampson was taken to the New Amsterdam Hospital and subsequently transferred to the Georgetown Public Hospital for further treatment due to the severity of her injuries. She spent two months in the Intensive Care Unit (ICU) of the Georgetown Hospital followed by an extended month at the New Amsterdam Hospital as a patient before being sent home for care. Sampson never regained consciousness from the time the accident occurred to the time of her death. The Private Car which included the other passengers including the driver who is yet to be charged escaped with minor injuries. “Is she arrange the car. I don’t know the driver; is the first time I see he. She say that she travel with he last week. Anyhow, we went and pick up the other girl and we go,” August said. Daughter: Toda Bristol who took care of her. Sampson reportedly suffered brain damage, a ruptured spine, several broken ribs, a punctured kidney, a fractured arm amongst other injuries. Divisional Commander Ian Amsterdam stated that when Sampson was at the ICU in Georgetown she was desperately in need of oxygen. A suction pump had to be used to assist her. Months after the accident Sampson was able to breathe on her own and was taken off the life support machine and sent to New Amsterdam. According to Officer in Charge of Traffic ‘B’ Division Assistant Superintendant Timothy Williams, the initial file was sent to the Director of Public Prosecutions (DPP) for advice. A new file will be prepared following Sampson’s death.